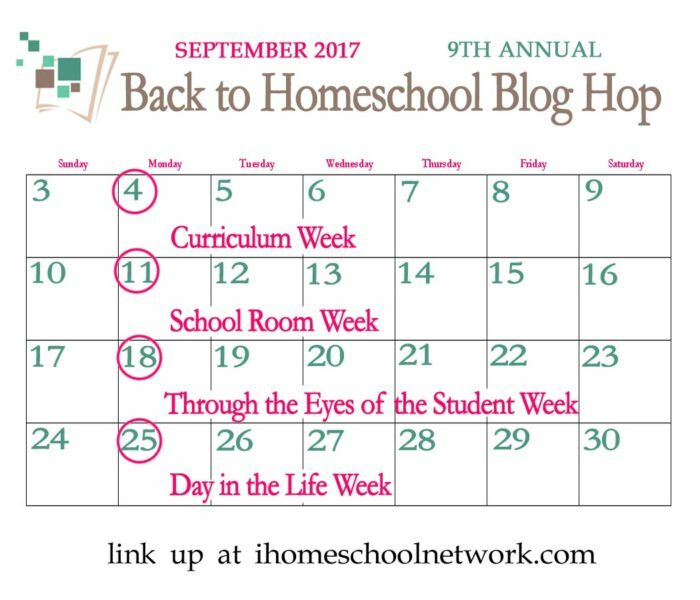 This week we’d love to see what your homeschool looks like through the eyes of your children. Hand your camera, or smartphone over to your children and ask them to snap photos throughout their school day. Tell them to take photos of what it’s like to be a homeschooler. Now it’s your turn. Join us in telling the story of your homeschool through the eyes of your student. To follow along with iHomeschool Network, friend us on Twitter, Pinterest, Facebook or subscribe to our newsletter. Happy Back-to-School to you all! If your link does not take us directly to a post that lists your own curriculum for the 2017-2018 school year, it will be deleted. Don’t miss out! Join us Thursday, Sept. 21, 2017 at 8:30 Eastern for a Homeschool Facebook Party.